Unfortunately we were not able to get out to a ballgame this year. It is one of those things we love to do as a family. Everything from the tailgate, walking into the stadium, and enjoying the game (and more food). 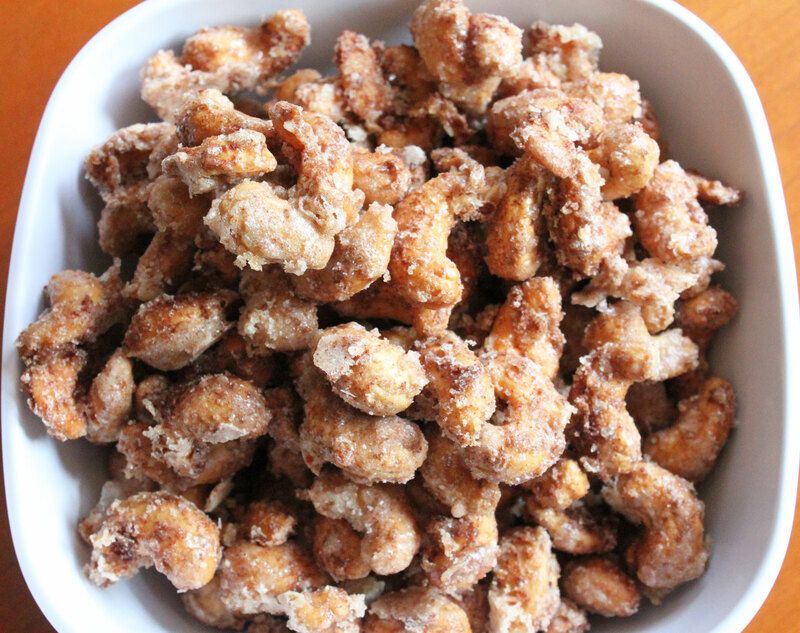 If there is one thing my wife loves it is the candied style nuts that they serve. The smell of them cooking is intoxicating, and they are as good to eat as they are to smell. It’s one of those things we typically buy together when we go. 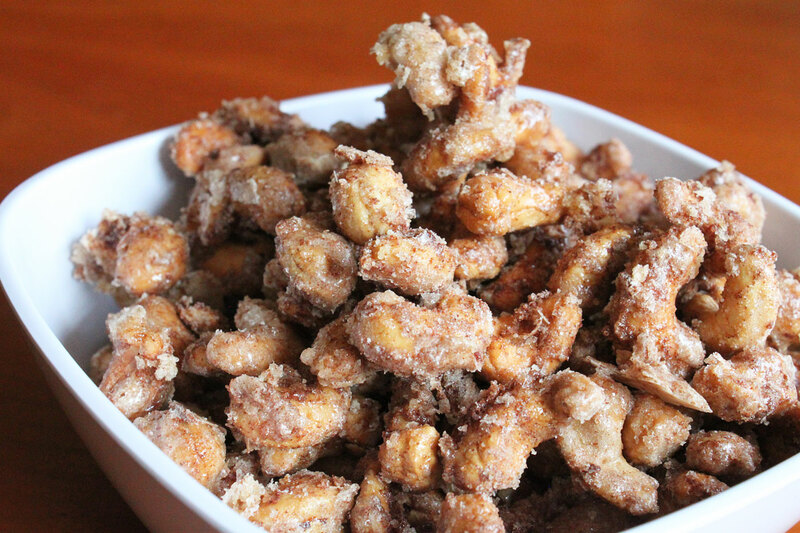 So with that being said, and a bit disappointed that we were not able to get to a game this year, I was not going to let that stop me from coming up with a batch of these baseball park style candied nuts for my wife and kids to enjoy. The trick to getting that candied effect on the nuts is the egg white. It adds just the awesome crunch and serves as the glue for the seasoning. Preheat your oven to 250 degrees. Line a baking sheet with parchment paper. Beat the egg white and water in a bowl until it is nice and frothy. Add the nuts to the bowl, along with the spices, and mix very well. Lay the nuts evenly on the baking sheet and place in the preheated oven for about 30 minutes or until everything begins to caramelize and get nice and toasted. 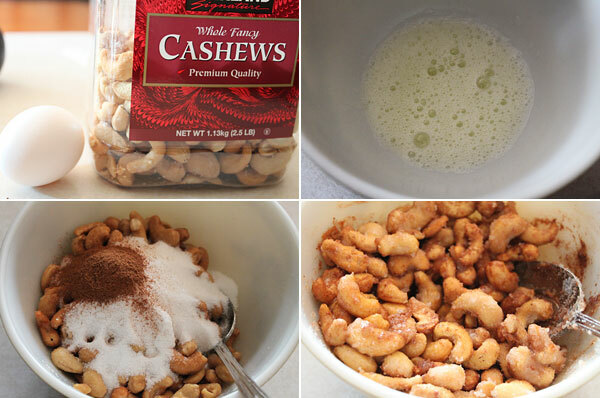 Once that is achieved, remove from the oven, and slide those nuts into a serving bowl. Let cool for about 5 minutes (if you can resist), and dig in. You want to talk about not only a great ballpark snack, but these nuts are perfect this time of year, especially around the holidays! Hope you enjoy and Merry Christmas and Happy Holidays to everyone! These look great! I love to eat them at a local Chinese buffet, and always wondered how to make them. These will be fabulous for the holidays! Hope you and your family are doing well. Merry Christmas! Thanks Deborah! These are a winner. Merry Christmas to you as well!